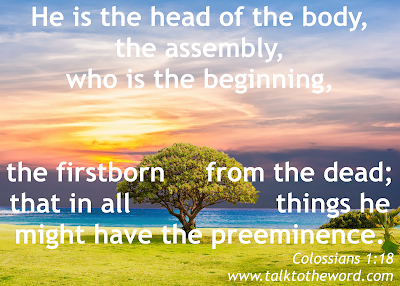 Colossians 1:18. 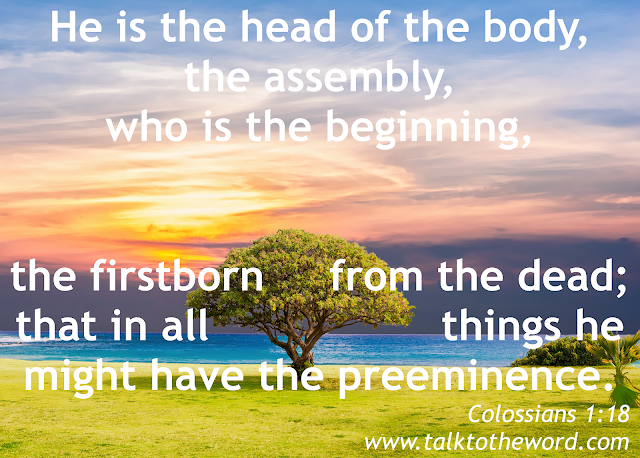 He is the head of the body, the assembly, who is the beginning, the firstborn from the dead; that in all things he might have the preeminence. 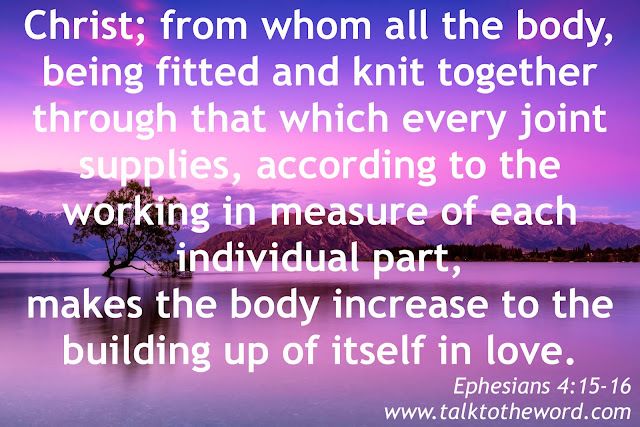 Ephesians 1:20-21. He raised him from the dead, and made him to sit at his right hand in the heavenly places, far above all rule, and authority, and power, and dominion, and every name that is named, not only in this age, but also in that which is to come. Ephesians 4:15-16. 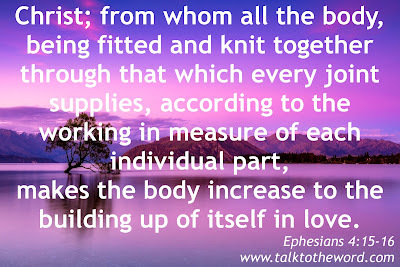 Speaking truth in love, we may grow up in all things into him, who is the head, Christ; from whom all the body, being fitted and knit together through that which every joint supplies, according to the working in measure of each individual part, makes the body increase to the building up of itself in love. Isaiah 9:6. To us a child is born. 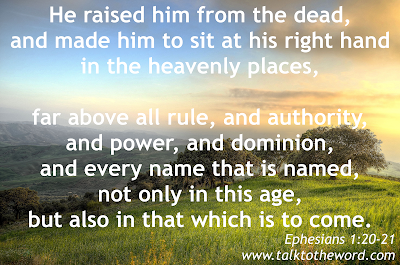 To us a son is given; and the government will be on his shoulders. His name will be called Wonderful, Counselor, Mighty God, Everlasting Father, Prince of Peace. 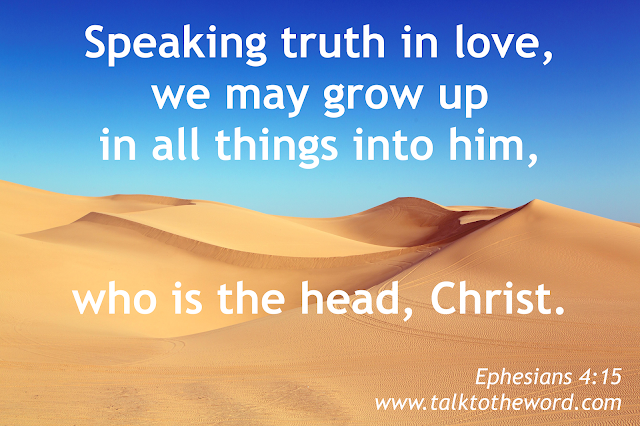 John 5:26-27. 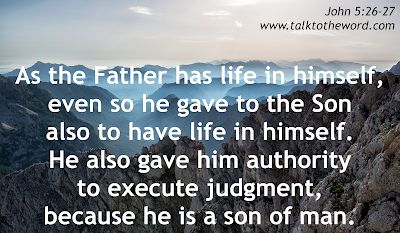 As the Father has life in himself, even so he gave to the Son also to have life in himself. 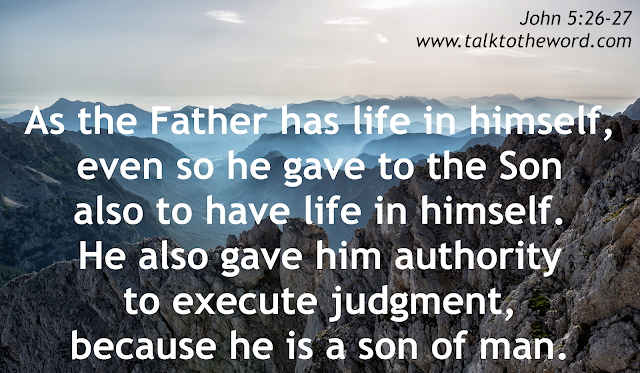 He also gave him authority to execute judgment, because he is a son of man. 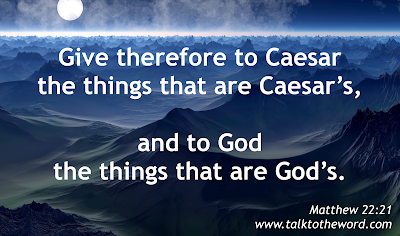 Matthew 28:18-20. 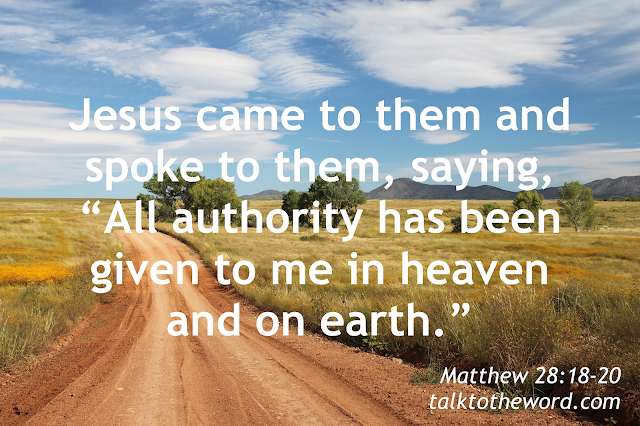 Jesus came to them and spoke to them, saying, “All authority has been given to me in heaven and on earth. 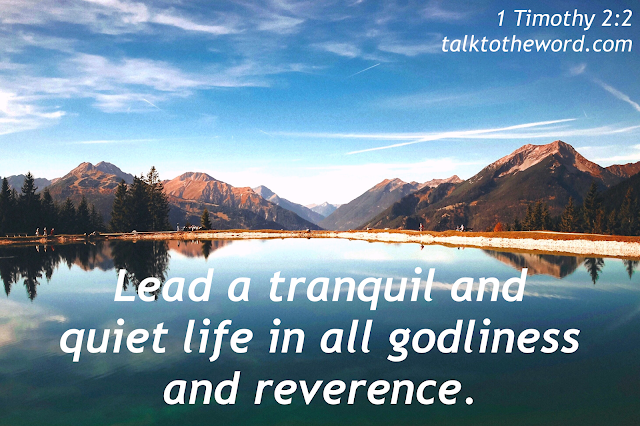 Go, and make disciples of all nations, baptizing them in the name of the Father and of the Son and of the Holy Spirit, teaching them to observe all things that I commanded you. 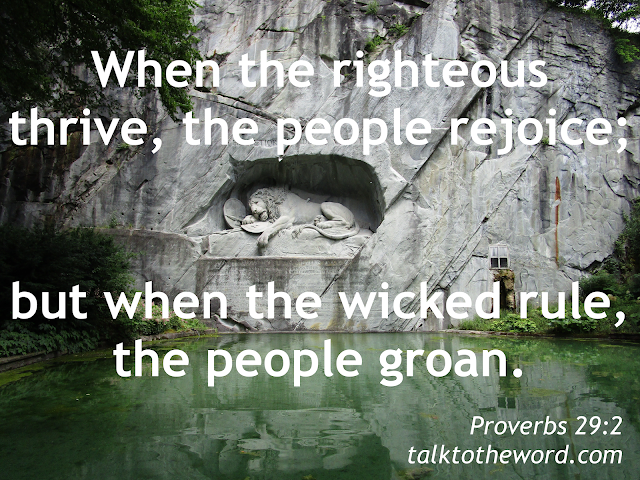 Proverbs 29:2. When the righteous thrive, the people rejoice; but when the wicked rule, the people groan. 1 Peter 3:21-22. This is a symbol of baptism, which now saves you—not the putting away of the filth of the flesh, but the answer of a good conscience toward God, through the resurrection of Jesus Christ, who is at the right hand of God, having gone into heaven, angels and authorities and powers being made subject to him. 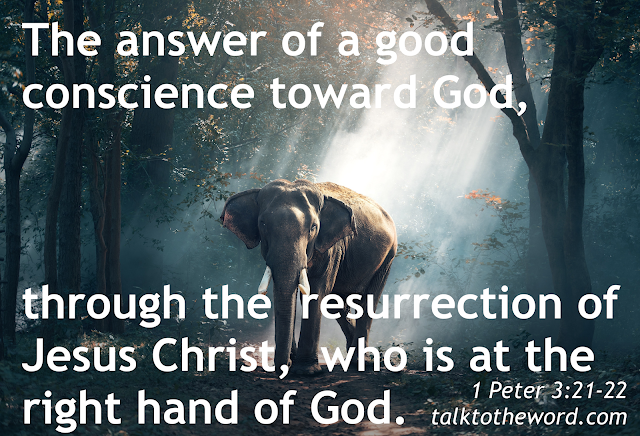 1 Timothy 2:1-2. I exhort therefore, first of all, that petitions, prayers, intercessions, and givings of thanks, be made for all men: for kings and all who are in high places; that we may lead a tranquil and quiet life in all godliness and reverence.